UK Tech Metal fanatics have something very awesome to look forward to. 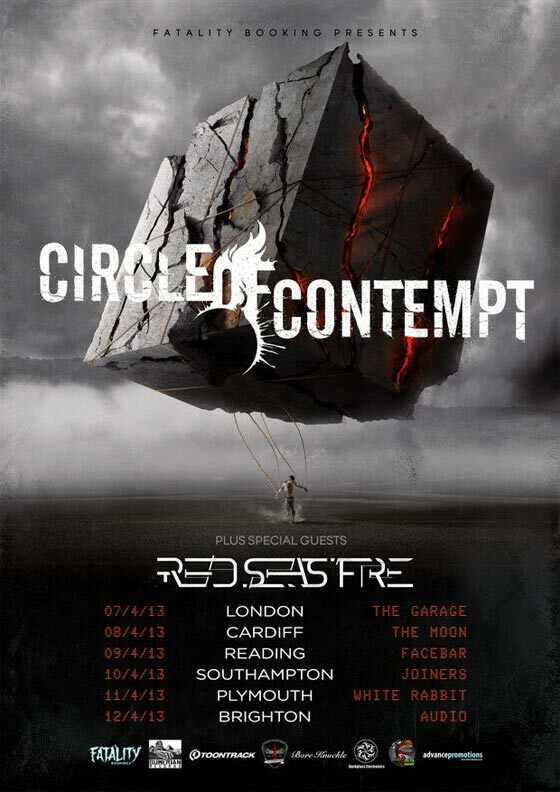 Circle Of Contempt will be coming over from Finland to join forces with the local talents, Red Seas Fire, to wreak havoc from London to Brighton. The tour will be short, but the shows will be intense. If you live in the UK, it’s HIGHLY recommended you check the dates below. If that doesn’t apply to you… blast the music!